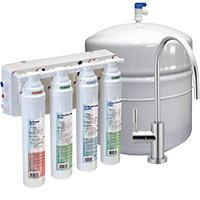 The AquaFlo Platinum QCRO RO System is a 4 stage quick change reverse osmosis system that comes in 50 or 75 gallon per day models and between plastic and metal tanks. It uses a sediment filter, a carbon block, a TFC RO Membrane, and a GAC Carbon Filter.  Due to its quick change system, additional filters may be exchanged for different purposes like scale reduction and pH boosting or additional filtration.